By allowing tenants to pay a reduced rent into an escrow account to be used to repair their landlord’s uninhabitable property, REAP addresses the health and safety problems created by substandard housing and encourages landlords to prevent those problems. . . . These are legitimate goals. 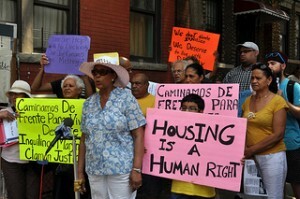 The court rejected the landlords’ argument that the City had improperly placed their properties into the program. It determined that placing property into the program because of the circumstances at issue—improper weatherproofing and constructing without required permits—was rationally related to the program’s goals. The court also found that the City could rationally use third-party contractors, including four non-profit organizations, to administer the program.